"Hides stitched so finely that it seems beyond the skill of mere man......"
Classic Jaguar is proud of its partnership with Suffolk & Turley, manufacturers of the world's finest Jaguar interior trim products. We have been supplying these superlative quality interior trim kits to discerning Jaguar owners around the world for the last fifteen years - and it has been our privilege to do so. For almost 35 years, Suffolk & Turley have been rightly acclaimed as the world's premier Jaguar interior trim specialists. Their craftsmanship has become the industry standard by which all others are judged. 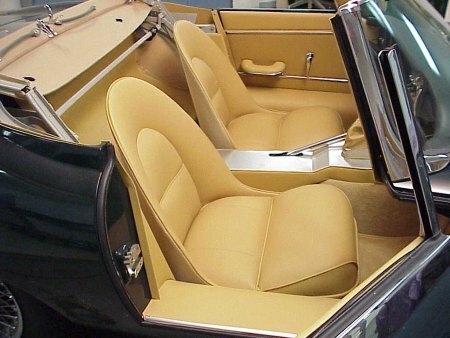 Suffolk & Turley interiors have featured in literally hundreds of the world's finest concours champions. 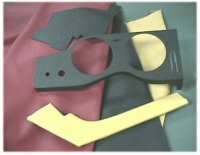 Founded in 1978 by Eric Suffolk, a time served Jaguar factory trim specialist, the company continues to make the very finest original specification Jaguar trim components and installation kits available anywhere in the world. Such was the esteem in which Eric was held by Jaguar, he was actually allowed to take with him trim patterns from all of the factory originals. When you purchase a Suffolk & Turley interior kit from Classic Jaguar, you can be sure that there is not a more accurate or complete kit available. You are buying the very best there is. Suffolk & Turley uses ultimate quality 'corrected grain', 'through-dyed' hides for all of their Jaguar kits. As the name suggests, through-dyed hides have the color dyed through the hide, rather than just on the surface of the leather. By having the same color beneath the surface, minor scratches and scuffs are much less noticeable than they are on surface dyed hides. 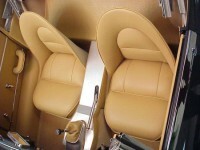 Installing an interior kit in any classic Jaguar is a skilled task, and not something to be undertaken lightly. That said, the quality, fit and finish of these interior kits is such that it is not possible to have a better starting point from which to begin your project. With this in mind, we have arranged for some of the tricky items to be pre-trimmed by the artisans at Suffolk & Turley, ensuring that your interior kit will be easier to install than any other alternative. That Classic Jaguar and Suffolk & Turley share a common customer service ethic makes our partnership all the more appropriate. We are well aware that others in the classic car trim industry are prone to losing interest in you, once they have received your cheque. We actually encourage you to involve us in the installation process. Both Classic Jaguar and Suffolk & Turley are available on the end of a telephone (or by email) to answer any questions you may have regarding the installation of your interior - wherever you may be in the world. You will find that at Classic Jaguar customer service continues long after your cheque has been cashed. "Never before has the adage - you get what you pay for - been more true." Indeed, as with most things, you really do get what you pay for. Suffolk & Turley interior kits are not cheap. 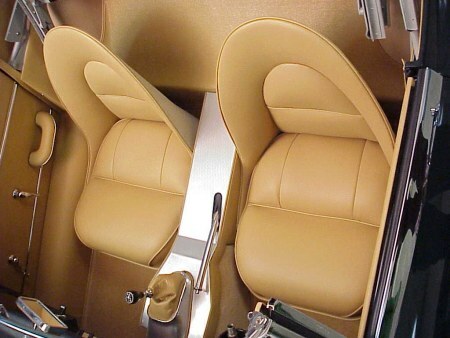 We sell them (and install them in our own restorations) because they are the best Jaguar interior trim products in the world. We do not sell on price - we sell on ultimate quality. There are cheaper interior kits on the market, but we guarantee that there is nothing even approaching the quality of a Suffolk & Turley kit. Interior kits are generally shipped within ten to twelve weeks. Prices shown are for the most complete kits available throughout the industry, although they do not include convertible tops (where applicable), which are sold separately. They do include top quality seat cushions, ready to install door casings and many of the smaller trimmed items that are commonly subject to additional charges elsewhere. These kits are the very highest quality available anywhere in the world. Each hide is personally selected by Eric Suffolk himself. Pricing note: Prices shown include all international inbound shipping and all related import duties and brokerage fees.